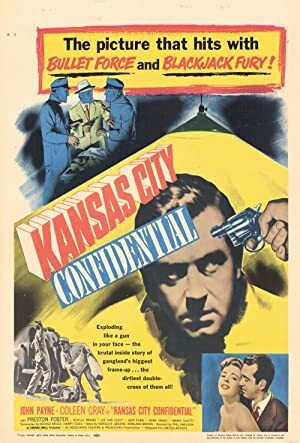 It’s been a while since we’ve had a truly sweet-spot criminals-and-dames noir on this podcast, so this week we’re bringing you one of the lesser-known gems of the genre: Kansas City Confidential! We highly recommend you watch the film before listening to the episode, because we spoil a lot of the fun bits. In this case, you really won’t have an excuse to not see the film, because it is in the public domain and it is EVERYWHERE online. However, the image and sound quality vary greatly between the digital copies. We found an excellent version of the film on Hulu. We still don’t quite know what our next episode will be, but it will arrive on October 21st! 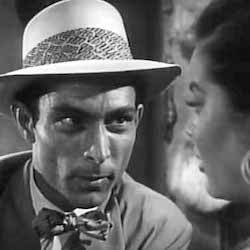 Plot: An ex-con trying to go straight is framed for a million dollar armored car robbery and must go to Mexico in order to unmask the real culprits.